Germany’s original Christmas gift-bearer St. Nicholas — Sankt Nikolaus in German — makes his tour through town a few weeks earlier in Germany than in America. This isn’t because Santa’s schedule is just too busy to cover the groundwork before Dec. 25. Tons of history and years of tradition stretch between two of the world’s most famous Christmas figures. The tradition of St. Nikolaus actually goes back to the Middle Ages, when giving Christmas gifts was a practice reserved solely for the saint’s religious feast day Dec. 6. During the Reformation period, Martin Luther challenged the observance — steeped in Catholic traditions at that time — and invented a new celebration for Protestants. The Protestant movement changed the tradition to Dec. 24, the last day of Christianity’s liturgical time of Advent, and adopted the figure of Christkind. 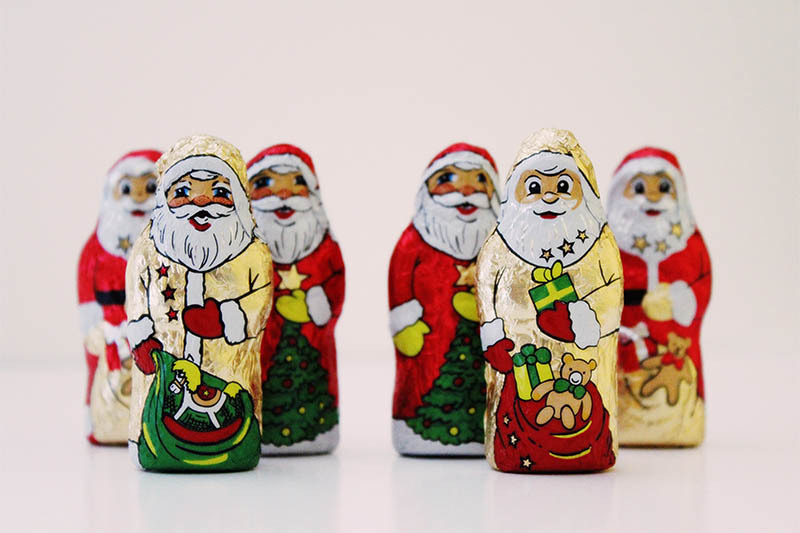 Over the centuries, the personas of Christkind, Santa and St. Nicholas have become somewhat muddled, with all figures maintaining cultural significance in Germany, regardless of one’s religious affiliation. St. Nikolaus resembles a catholic bishop and dons a bishop’s miter, long brocade coat and a golden staff. St. Nikolaus also traded in Santa’s reindeer for a more unique companion: Kraumpus or Knecht Ruprecht. Today, the ragged, devil-like creature Kraumpus and the weapon-wielding Knecht Ruprecht only serve the symbolic purpose of mildly scaring children and deterring them from misbehaving. St. Nikolaus Day — still celebrated Dec. 6 every year — is a preliminary round of Christmas gifts and holiday cheer in Bavaria. During this holiday, St. Nikolaus visits towns to read from his book and hand out small gifts of nuts, fruits and chocolate from a burlap sack. Children who do not get personal visits from Nikolaus put a boot called Nikolaus-Stiefel outside the front door the night of Dec. 5. The next morning, the row of boots are usually filled with sweets. Traditionally, Santa Claus, or Weihnachtsmann in German, does not drop down chimneys and deliver gifts the eve of Dec. 25 in Germany. Instead, the Christkind or Christkindl, an angel-like creature with blond hair and wings, brings gifts to families on the eve of Christmas. Depicted as a blond female angel, the Christkind opens the Christmas season at the Nuremberg Christmas market every year. Much like Santa visits at U.S. shopping malls, Christkind takes pictures with children at the Christmas market and receives letters with detailed gift requests. Now it is up to you to pick which tradition you like! Let the world’s holiday customs festively migrate to your home and family!